Book News Pileup: UntitledTown Book Festival, New Poetry Collection, and ARCs! In two weeks, I get to be part of something incredibly cool: UntitledTown Book and Author Festival, a four-day literary event held annually (this year, it will be April 19 – 22) in Green Bay, Wisconsin. This year, the lineup of guests includes R.L. Stine, Christopher Moore, and ROXANE GAY (!!!! ), among others. Including me. Oh–and the whole amazing thing is FREE. And here’s the entire schedule. You can sign up/bookmark favorites (although you don’t need to) that you’d like to attend and sync them to your phone, if you’re techy like that. It’s National Poetry Month! 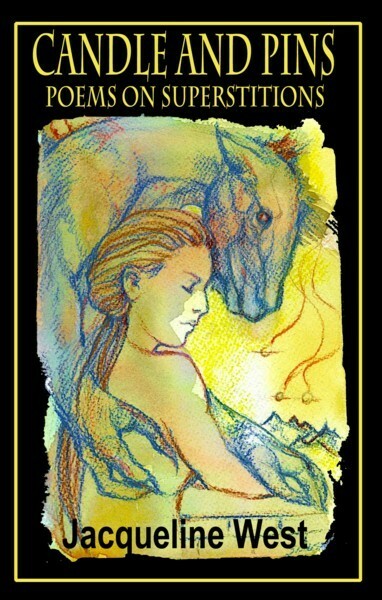 And my brand new poetry collection, Candle and Pins: Poems on Superstitions, is now available from Alban Lake Publishing for only $1.99 in e-book format and $6.00 in paperback. Bargain, right? You can also find/order signed copies at my lovely local bookshops, Rivertown Comics and Games and Fair Trade Books of Red Wing, MN. A little description: The poems of “Candle and Pins” are inspired by familiar—and some unfamiliar—superstitions, ranging from love charms to burial practices, parsley seeds to the evil eye. Like superstitions themselves, these poems explore the terrain where magic and everyday life intertwine, and where beauty, horror, fear, and belief combine in ways both new and ageless. I’ve been at work on this collection for what seems like ages. Some of the poems appeared in fantasy/horror/scifi journals like Strange Horizons, Goblin Fruit, and Mythic Delirium almost ten years ago, and one was nominated for a Rhysling Award, but most of them had never ventured out in public until now. Having all of these pieces, new and old, published and unpublished, finally put together behind this gorgeous cover with art by Marge Simon is the coolest feeling. So if you’re into dark magic and creepy poetry — or poetry in general — you could make me super-happy by reading it. If all of this wasn’t great enough, I also just received my box of ARCs (advance reading copies) of The Collectors. 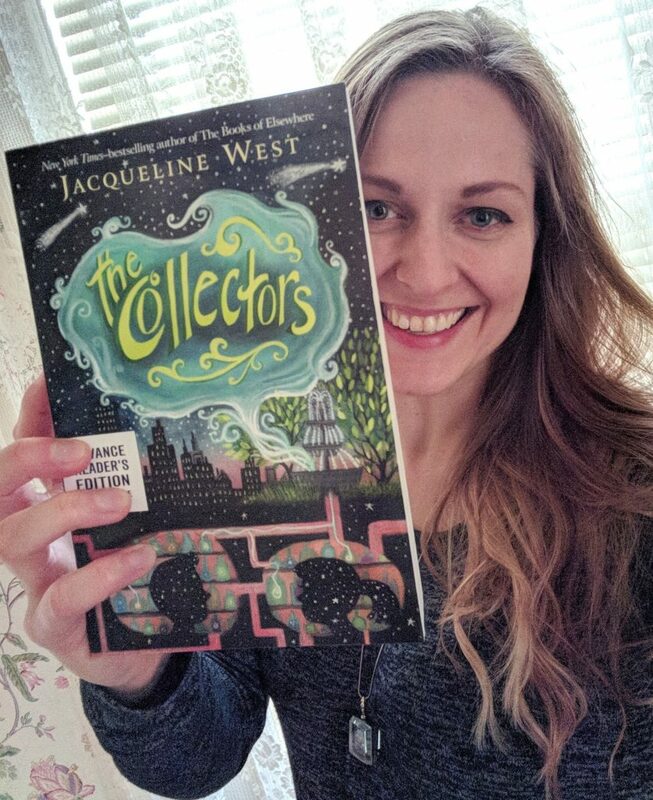 Stay tuned for a giveaway of a special sneak peek copy or two… Not sure yet if I’ll use this blog, Instagram (where you’ll find me most frequently these days), Facebook, or all of the above, but I’ll do my best to spread the word everywhere. 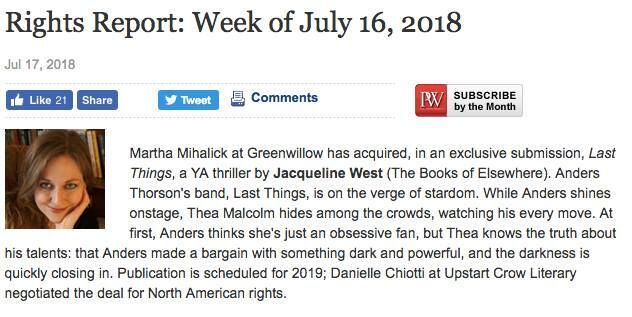 My next middle-grade series has a title, a publisher, and a (vague) release date!!! 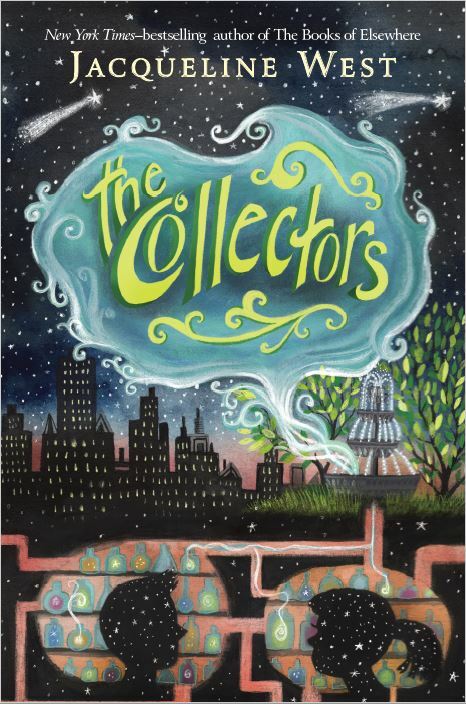 THE COLLECTORS is forthcoming from Greenwillow/HarperCollins, and you should be able to find it in a bookstore or library near you in Fall 2018. Now, because I’ve procrastinated for so long, I have a double serving of gigantic news to share. 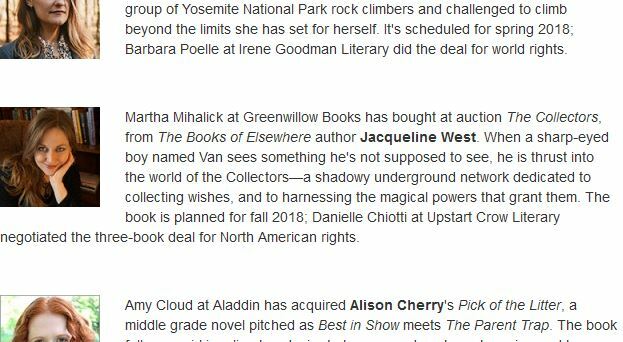 Fall 2018 will bring not one but TWO middle grade novels from yours truly. Last year, the Story Pirates–the New York-based, nationally-loved performance organization dedicated to bringing kids’ stories to life–held a contest asking kids to submit ideas that could inspire a full-length novel, to be written by bestselling author Geoff Rodkey. THE STORY PIRATES PRESENT: STUCK IN THE STONE AGE BY GEOFF RODKEY, AND ILLUSTRATED BY HATEM ALY, BASED ON AN IDEA BY VINCE BOBERSKI, AGE 11 will be released by Rodale Books in March 2018. Now the Story Pirates are getting ready for a second book — a mystery — which will be written by ME, and which will be released in Fall 2018. So, that’s New News Item #1. New News Item #2 is that the Story Pirates is hosting a second contest right now to gather ideas for a potential mystery book! The contest is open until July 21. The winner gets $500, ten copies of the book, their name on the cover, and other cool bonuses. If you know any kids between the ages of 6 and 12 who love creating stories (kids need a parent/guardian’s help submitting), check out storypirates.com/spark, and submit your wonderful, creepy, utterly unique ideas. We can’t wait to see what you come up with. Between these two projects (and some other, still-secret ones! ), the rest of my summer will be pretty busy — but if you’re a young writer in the eastern Minnesota/western Wisconsin area, you can catch me at a couple of writing workshops. On July 20 and 27, you’ll find me at Scott County Libraries — Jordan, New Prague, Prior Lake, and Savage, specifically — talking about descriptive writing and character creation. Sign up is now open! Here’s the link to the Scott County Library Summer Reading page; just click on the events calendar link to find more info and enroll. Thanks for your patience, everybody.